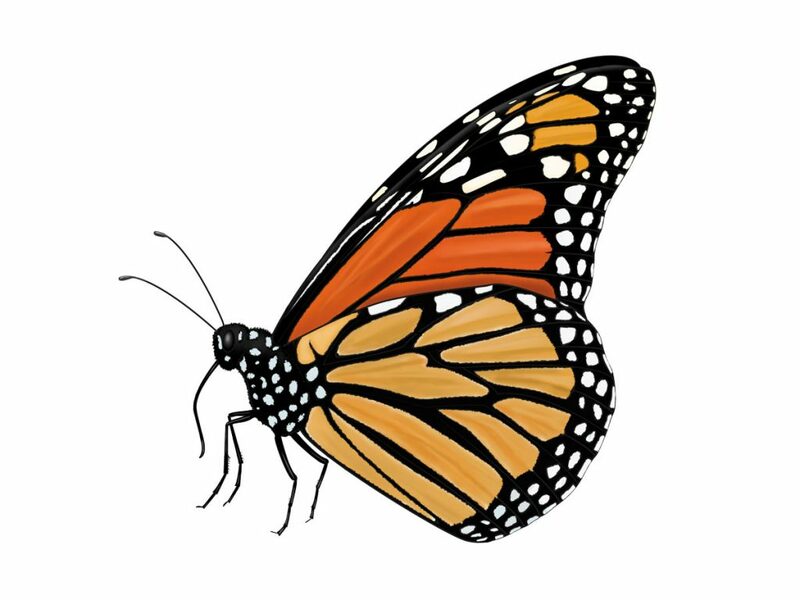 Monarch butterflies are one of the most recognized species of butterflies in North America. Or are they? Two commonly misidentified butterflies are monarchs (Danaus plexippus) and queens (Danaus gilippus). We’ll forgive the confusion because these orange-and-black charmers have a lot in common, right down to their noble names. They are also similar in color and size, and — along with others in the subfamily Danainae — both lay eggs on milkweed. Here are a few tips for discerning between the caterpillars and adults of monarchs and queens. When wings are closed, fore- and hindwings only have white dots within black borders. Both fore- and hindwings have very bold black lines creating a “stained glass” look. Hindwings are lighter orange while forewings are mostly a deep amber. When wings are closed, look for white dots both within the black borders and on the forewings. 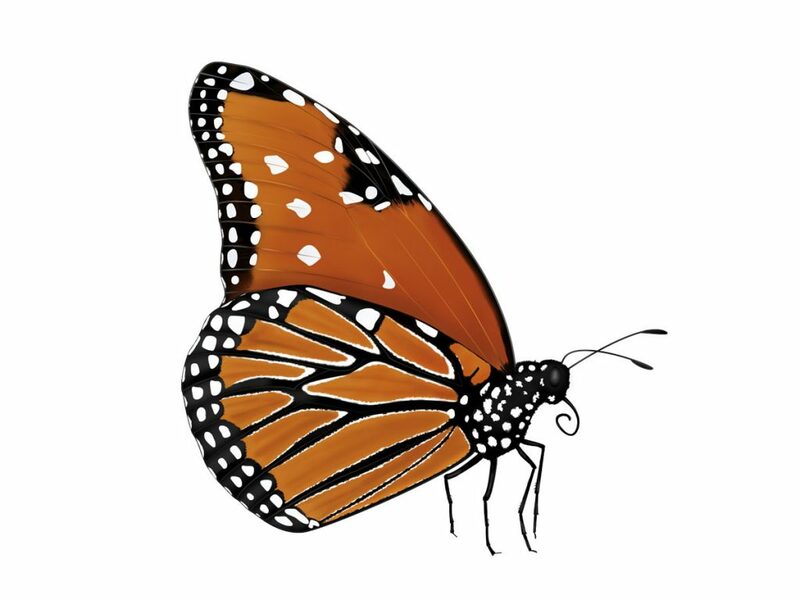 Forewings lack the bold black lines that monarchs are known for. Fore- and hindwings are more uniformly orange, with a brownish tint to their coloring. Look for two sets of fine filaments, one pair at the front and one at the rear. Monarch caterpillars are patterned in bands of yellow, white and black that generally appear similar in thickness. Look for three sets of filaments, two longer pairs toward the front and a shorter pair near the rear. Queen caterpillars have less even patterning; their thicker black bands contain dabs of yellow, and thin black lines overlay white sections. Faint red may be seen where the filament meets the body. Though queen butterflies can be found spring, summer and fall in Central Texas, both monarchs and queens are usually only found together during the monarch migrations of spring and fall. Find caterpillars on milkweeds and look for adult butterflies sipping nectar on Gregg’s mistflower and many of our other important nectar plants.